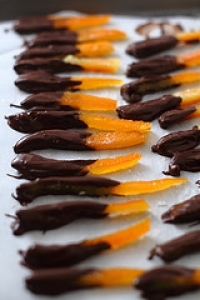 Have you made Candied Citrus Peel 2? 1. 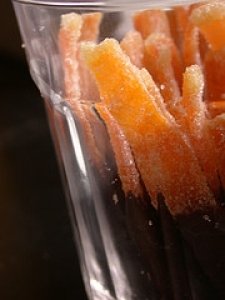 Make 6 lengthwise incisions (top to bottom) in fruit peel. 2. Separate fruit from peel, reserving fruit for another use. 3. 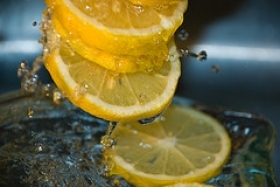 In a pot of boiling water, add peels, return to a boil, boil 30 seconds, drain, and rinse under cold water. 4. Repeat 2 times to remove bitterness. Return peel to pot, add 4 cups of the sugar and 2 cups of water. 5. 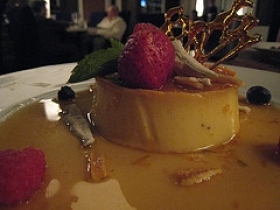 Bring to a slow boil and simmer gently for 1 to 1 1/2 hours, stirring occasionally. 6. 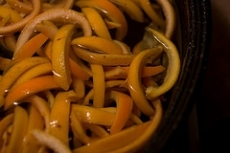 With tongs remove peel from syrup and drain, skin-side up, on a wire rack, 1 hour. 7. 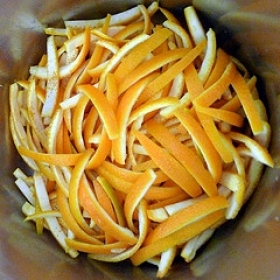 In a bowl, toss peel with remaining 2 cups sugar until evenly coated. 8. Transfer to a wax paper-lined baking sheet. Set in a cool, dry place overnight to harden. 9. 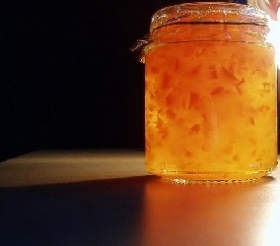 Store in tightly-fitted jars for up to 2 weeks. 10. Dipped in Chocolate Sauce if desired. Cool in refrigerator until chocolate sets, about 1 hour. 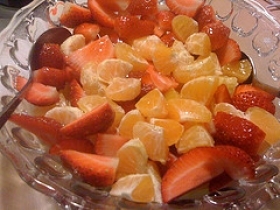 This recipe contains potential food allergens and will effect people with Natural Sweeteners, Oranges allergies.